The twentieth episode of The Obsidian Crown finds the party steadily regrouping as both Daniel and Rael make their way back to the camp. The military leaders begin plotting their next move as they continue to collect intel, particularly regarding the treachery of Duke Ranen. 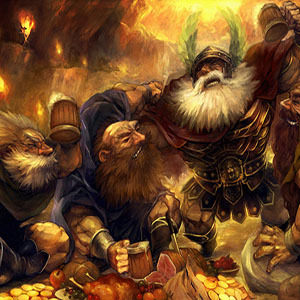 Before moving forward, however, there is the matter of a missing dwarven comrade… The Obsidian Crown is an adventure scenario featuring elements of horror, intrigue, and warfare set in a unique fantasy world. If you enjoy this episode, we recommend you explore our previous Actual Play episodes. The system is Savage Worlds. Players use Hero Lab to manage their characters. If you are interested in online gaming with Savage Worlds, you might also consider Google Hangouts and Roll20. Been meaning to post this for awhile: Mad props to Kendan! One of the freshest takes on a dwarven tinkerer I have ever heard! Awesome, awesome job dood!